Yesterday was one of the biggest days ever for Funko releases thanks to London Toy Fair 2019. You can find out where to get each one of the waves Funko announced right here, but we wanted to add the new SpongeBob SquarePants Pop figures to our list of standouts. “Are ‘ya ready, kids? Aye, aye captain! … Who lives in a pineapple under the sea? SpongeBob SquarePants!” Patrick might not always be the brightest bulb in the fish tank but you’ll never find a more loyal or warm-hearted friend. This Pop! Patrick wearing his classic board shorts is wielding a hammer and is sporting some unusual headgear. The normally surly Squidward Tentacles leaps and prances with joy as a Pop! ballerina. And Pop! SpongeBob has manifested a rainbow, surprising absolutely no one ​given his cheerful disposition. 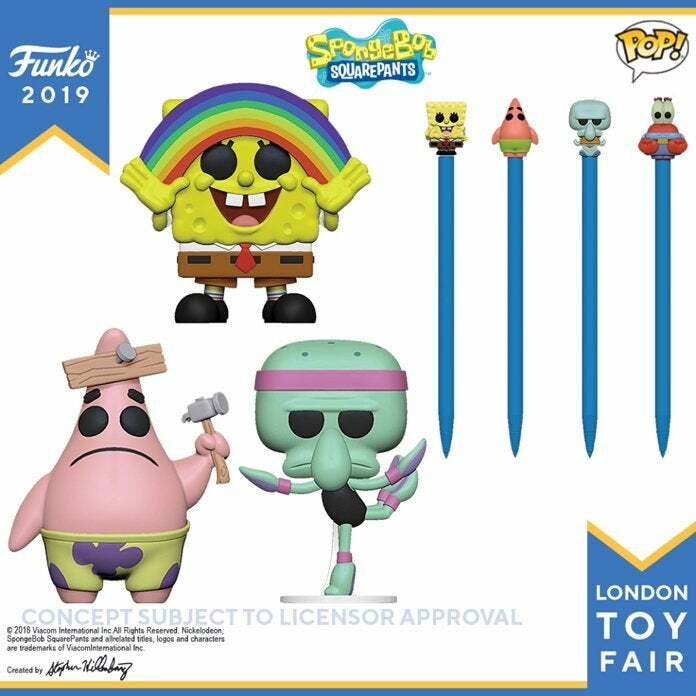 As far as exclusives are concerned, look for SpongeBob in a band outfit at Hot Topic, and a 10-inch SpongeBob at Target in the May/June timeframe. I’m betting these are part of the Imagination Shellabration campaign in some way, and that’s alright as long as they’re not 2019 exclusives or anything.